In February, the Supreme Court of the United States unanimously ruled that the anti-retaliation protections of the Dodd-Frank Act do not kick in until a whistleblower has reported the fraud to the Securities and Exchange Commission (SEC). A whistleblower, as the law defines it, is someone who provides information to the SEC (or another federal agency) about violations of securities law. You can read our more in-depth analysis of why the Court ruled the way it did, but to recap, the Court found that because Paul Somers did not take his case to the SEC, he was not protected under the law. His mistake was that he only complained to his superiors. It was one of two cases that helped clarify what is covered by whistleblower protections, and what is not. The second instance is this: A jury awarded a railroad whistleblower $1.25 million for retaliation and wrongful termination because he reported safety violations in Washington. After a six-day trial, a Tacoma jury came to a unanimous verdict, which included $250,000 in punitive damages against Burlington Northern Santa Fe (BNSF) railroad for retaliating against Michael Elliott and for firing him after he raised safety concerns. An article in the Seattle Times reports that there was evidence that BNSF officials set up a fight with Elliott in a BNSF parking lot and used the incident to justify firing him, and colluded to provide inaccurate information to a mediator. Elliott was acquitted of the assault charges. Elliott had been a locomotive engineer for BNSF for 16 years, and he was elected chair of the Washington State Legislative Board of the Brotherhood of Locomotive Engineers and Trainmen (BLET), which represents 750 union workers at BNSF, Union Pacific and Amtrak. Elliott reported several complaints about the overgrown vegetation which was blocking the signal system along BNSF tracks between Tacoma and Vancouver, Washington, and other catastrophic signal malfunctions. The signals keep the trains from colliding on tracks that BNSF owns, but shares with passenger and cargo trains. When Elliott found that BNSF was slow to respond to his complaints, he brought his concerns to the Federal Railroad Administration (FRA), which after a six-week inspection, found more than 375 violations – one of which resulted in a $1,000 fine. In the case of the railroad worker, his whistleblower protections were validated because he reported the safety violations to the federal government, which confirmed the allegations after an investigation. If you believe that you have information about possible fraud or illegal activity in your workplace, you should seek legal guidance immediately. Whistleblower and qui tam actions must be handled in a specific way, so you want an attorney to guide you. If you are still employed by the company which you believe is committing a fraudulent or illegal act, we may be able to help you make a claim. 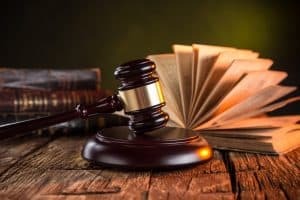 At Plattner Verderame, P.C., we understand how challenging it can be for whistleblowers to come forward and risk their personal employment, reputation, or financial security to do the right thing. For more help, please contact our dependable Phoenix qui tam lawyers by calling 602-783-8793 or filling out our contact form.